Speak with our air conditioning installers about your options and they will help you choose the most ideal air conditioning solution for your home. Send us your floor plan and we will provide a detailed quotation, based on our current specials. Jims Heating & Cooling take pride in our excellent customer care and personable service. Whether you are looking to install ducted reverse cycle, split system or evaporative cooling, call 131 546 now or request a quote to get started! Jim’s Air Conditioning Adelaide is your best option for quality and customer satisfaction. Call Jims now on 131 546 for your FREE NO OBLIGATION QUOTE on heating or cooling your home. Call now on 131 546 or complete the following for your 100% FREE NO-OBLIGATION QUOTE. We promise to respond just as fast as possible! We NEVER provide your details to 3rd parties and only use your details to provide you with the very best service & prices possible. Ducted Gas Rebates are HERE!Call Jims Now! 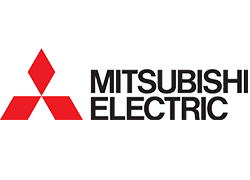 Mitsubishi Electric Bonus Cash CardSave even more with Jims!